British self-publishing games developer Frontier wants to expand into third-party publishing. GamesIndustry.biz visited the firm’s new Cambridge headquarters to discuss the last five years of success for the Elite and Planet Coaster developer. Following the success of Elite: Dangerous, the studio has published its own games and ended work-for-hire operations entirely. 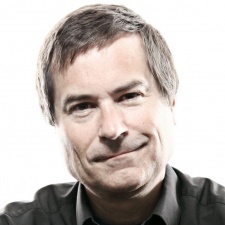 With Cambridge contemporaries like Jagex offering similar services to external developers, founder and CEO David Braben was asked if third-party publishing was in the cards for Frontier’s future. "There is an element of watch this space... but it is one of the things we're looking at,” said Braben. “Our business has done pretty well and what we're doing is quite cash generative. So there is an opportunity. Now we've moved to this side of the table, we know the horrors of the other side, so we can make that process better." Don’t expect Frontier to start handing out publishing deals across the board, however. COO Jonny Watts stated that any games the company takes on board will need to feel suitably ‘Frontier’. “It has to speak to our values," said Watts. "The games that we make, we want them to be remembered. I am hoping Elite Dangerous will be remembered for a very long time. Rollercoaster Tycoon is still being played today." Frontier is one of a number of British gaming institutions that, like Codemasters and Team 17, has seen strong growth in recent years after decade-spanning lifespans. Braben and Watts jokingly described Frontier as a "30 year overnight success story".